A powerful way to rediscover the magic and love you once shared and draw your man irresistibly back into your life for good. 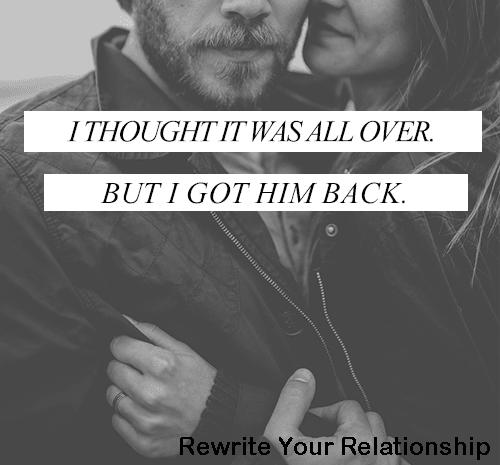 Hi, I’m James Bauer, and I'm so glad to tell you more about Rewrite Your Relationship. Because, while several of my courses touch on this topic, and oftentimes do the trick, none of them are specifically designed to get your man back at all costs. And what you’re about to discover here may be the only REAL chance you have to ever get your man back for good. The heartache you may be feeling right now, the physical pain in your chest, the sinking feeling in your gut...	It’s miserable and frustrating and it’s easy to feel helpless, even desperate. But if you know there’s something special about this man and that you won’t feel right until you get him back, there is no time to waste. Many women will go with their first gut reaction which will almost always do more damage than good. When you love him so much and all you want is for him to realize that you’ve built something beautiful and worth fighting for, it’s hard not to have a knee jerk reaction to a break up. But he’s in a different place too. And no amount of convincing, pleading or promising will change his mind. Even if he knows you’re right. Because no amount of logic and reasoning will sway him right now. He has to FEEL that he needs to be with you. He needs to experience the exact right emotions and dwell on the exact right memories that will fill him with a fiery NEED to fight for your relationship. You see, what I’m about to show you is much more than a step-by-step guide to get your man back. What you’re about to discover is a powerful method to “rewrite” the story of your relationship, to refocus on the love and uniquely romantic moments instead of the bad times..
You can trigger the right emotions and the right memories using simple, easy tidbits of psychology that you will pick up in a heartbeat. These tipbits will create a happy ending with your man that’s more amazing than when you first fell in love. Yes, you will have the step-by-step instructions on exactly what you need to do and say in order to get your man back where he belongs - at your side. Yes, you will be able to make him see that you were meant for each other... And that your love is “one of a kind” and worth fighting for no matter what. Yes, you will be able to close the door on past pains and create a bulletproof bond with your man that's stronger and more intimate than anything either of you have ever experienced. But more importantly, you will discover just how much power you really you have in your relationship to create the epic fairytale romance you’ve always dreamed of. No short term tricks, no smoke and mirrors, no stressful games, and no begging. This is the same powerful method I use in my private coaching practice to bring even the most broken relationships back from the brink. No costs for shipping, get instant digital access and get started right now! Your order is protected by our 60-day, 100% money back guarantee. All transactions are secure, encrypted and private. Here are just a few of the things you will discover with the Rewrite Your Relationship Method as you reel him back into your life. How to get your man back in the shortest time possible -BEFORE it’s too late - Using breakthrough neuroscience, boiled down into 6 simple steps any woman can follow. The truth behind what went wrong- why he hardened inside, what started those long silences, those dirty looks, the resentment, the wandering eyes... And how, in just days, you can shuffle those memories and feelings into the far reaches of his mind so when he thinks of you, he will only think of the good times and the close feelings of love. Imagine what it will feel like to have him quickly and excitedly responding to your texts and calls again… to have him making plans with you again... to see his face light up when you walk into the room… to be back into his arms. Imagine how good it will feel to have him whisper that everything is going to be alright… that the two of you are going to make it… that he wants to keep you forever. This is one of the most powerful and successful methods out there for getting your man back because it actually mends what’s broken and rekindles REAL passion and connection. There are no games, guilt trips or sneaky tricks to drag him back only to have the same issues threaten your love again. Then Rewrite Your Relationship is specifically for you. The one time investment of just $47 is an incredible value for this comprehensive relationship course. And a very small price to pay to bring your man back into your arms where he belongs. And you can try it completely risk free. As with all of my courses, you have a 60 day, no questions asked money back guarantee. Just try this method out for yourself. See how well it stirs the emotions and memories in your man that will have him brimming with new passion and commitment. Because the window to make things right won’t stay open for long. Every day he is apart from you the gap grows bigger. So please don’t wait until it’s too late. Everything you need to know, do and say to get your man back to rewrite the story of your relationship is right here. Click here to order using our secure payment system! Get instant digital access right now! James Bauer is a dating and relationship coach and also the author of worldwide bestselling courses His Secret Obsession, Rewrite Your Relationship and What Men Secretly Want. His training has helped hundreds of women across the world to improve their relationships and strengthen their marriages. You can see some of their feedback on James Bauer's courses here. James believes that being irresistible is about a special set of qualities that emanate from feelings of happiness, true confidence, and a kind of inner beauty that pulls at a man's heartstrings. Being irresistible is the embodiment of what makes a woman truly attractive in every sense of the word. It's about creating an irresistible draw with who you really are. Never pretending to be someone else. 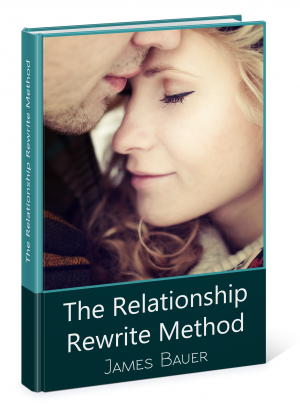 How does the Rewrite Your Relationship Guarantee Work? At Beirresistible.com we stand behind our products and training. We offer a 60-day 100% guarantee on everything we sell. Feel free to test any course or product with the assurance that if it's not a great fit you can get your money back. Here is a video James made to explain our refund policy. Where can I get Rewrite Your Relationship? 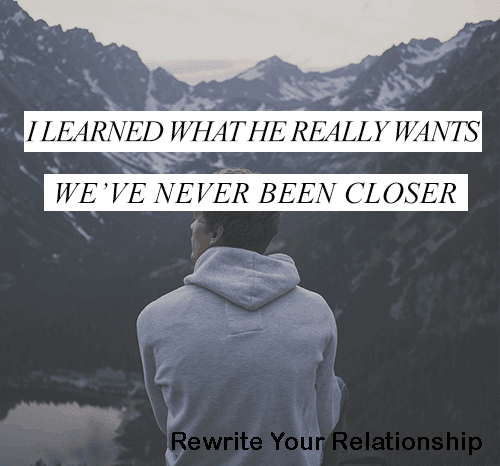 You can get full access to Rewrite Your Relationship by clicking here. All our transactions are processed through secure third party vendors which use bank level encryption to protect your data. How can I get in contact with someone? Feel free to call our toll free number at 1-800-755-4364. We're always happy to get your calls, and we'll help you any way we can. We can be reached by email and are activly responding, twenty-four hours a day. We promise you'll get a quick and friendly response from our customer support team. You can also open a live chat box on our website to get help. Click the pretty blue chat icon on any page, and we'll be ready to help you as quick as we can! Remember, in this very moment you have the most power to change. It’s up to you to decide between happiness and heartache. This decision is the only thing standing between you and the love and commitment you deserve. So seize this moment before it’s too late! Click the button right now, and let’s get started! P.S. Remember, there is more real, actionable information on attracting and committing a man in this short, practical guide than you'll get reading a dozen books. The secrets inside have worked for many other women just like you, and it's 100% guaranteed so there’s literally zero risk to test it out in your life. and get instant access to this powerful system! At Beirresistible we stand behind our products and training. We know this material works, and so we offer a 60-day, 100% money-back guarantee on everything we sell. Feel free to test any course or product with the assurance that if it's not a great fit you can easily get all your money back. We'll happily give you a refund, plus you can still keep the program.